The University of the Cumberlands appears in our ranking of the Top 10 Cheapest Online Master’s in Information Assurance Degrees. There are two ways to study information technology and computer science at the University of the Cumberlands. One option is for undergraduate and graduate students who want to study Information Technology, and the other option is for Ph.D. candidates who have an interest in Information System Security or Information Technology. Degrees are available in a variety of formats including a Bachelor of Science in Information Technology that’s available online, a Bachelor of Science in Information Technology offered on campus, and a Master of Science in Information Systems Security, which is available online. The university also offers three executive format degrees with an Executive Doctorate of Philosophy in Information Technology or the Executive Master’s in Information Technology, as well as the Executive Master’s in Information Systems Security. When a student chooses to earn an undergraduate degree in information technology, he or she will graduate with the knowledge required to implement a security policy, manage compliance for federal regulations, and create disaster recovery plans. Students will also learn how to recognize exploitation in software, network configurations, and hardware, as well as help prevent future occurrences of common problems. Employment opportunities for graduates can come in the form of jobs as Computer Network Architects, Database Administrators, Software & Web Developers, and Computer Programmers. Students in the Bachelor of Science in Information Technology program will also have the opportunity to choose a concentration. Those options include Cybersecurity, Management, Infrastructure, and Software Engineering. Students will complete courses related to their concentration, as well as core requirements like Web Design, Hardware, Server Administration, and Business Intelligence. Students who already have a bachelor’s degree may wish to consider one of the Master of Science Degrees or a Doctorate of Philosophy degree. One of the options students have when studying at the graduate level is enrolling in a traditional master’s degree program or choosing the executive style program. Traditional graduate programs are available online and on campus, and the executive program offers a hybrid format where students will incorporate professional experience on-site alongside online classes. Students in the executive program will take three courses each semester in the fall, spring, and summer. For students interested in the traditional graduate programs, which are offered online and on campus, students will need to complete several core classes, as well as some elective courses. Some of the core classes students can expect to take include Cloud Computing, Operational Excellence, Introduction to Data Mining, and Analyzing & Visualizing Data. 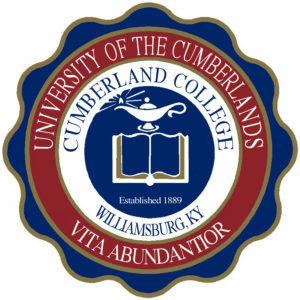 The University of the Cumberlands is affiliated with the Kentucky Baptist Convention and is a private school in Williamsburg, Kentucky. There are around 7,000 students enrolled for classes at the rural campus, as well as through the school’s online programs. The school’s official colors are red, white, and blue, and the school’s sports teams are nicknamed the Patriots. The school was founded in 1889 as Williamsburg Institute by a group known as the Mount Zion Association who were affiliated with Baptist churches in Kentucky. Although it was founded as a senior college, the university was run as a junior college for much of the first part of the 20th century until it became a four-year college in the early 1960s. The first graduate degree was granted in 1988, and the school began offering doctoral degrees in the early 2000s. The regional accreditation agency for the University of the Cumberlands is the Southern Association of Colleges and Schools Commission on Colleges, which has approved the university to award associate, baccalaureate, masters, and doctoral degrees. The first accreditation for the university occurred in 1964. The programs in education at the university are state accredited by the Educational Professional Standards Board in Kentucky. Additionally, the RN-BSN degree is accredited by the Commission on Collegiate Nursing Education. Other specialized accreditations given to university programs come from the National Council for Accreditation of Teacher Education, the National Centers of Academic Excellence in Cyber Defense, and the International Accreditation Council for Business Education. Applying to the University of the Cumberlands requires submission of the official application, official transcripts from high school or college, official copies of SAT or ACT scores, and demonstration of proficiency in English for international students. Admission requirements for graduate and doctoral programs at the university are based on the specific degree program a student wishes to enter. For example, admission requirements for the Executive Ph.D. in Information Technology include a completed graduate application, official transcripts from undergraduate and graduate-level work, evidence of a completed master’s degree from an accredited university, an average GPA of at least 3.0 on a 4.0 scale on all graduate-level work, and an interview. International students must also submit evidence of English language proficiency. Tuition and fees costs for undergraduate classes at University of the Cumberlands come to $23,000 per year and room and board charges come to $9,000. In 2019, students will pay $9,875 for tuition and fees and $9,300 for room & board. Students who choose to attend classes online will pay $199 per credit hour, as well as a $50 technology fee. In most cases, a three-credit class online will cost $597, and students must complete a total of 128 credit hours to receive their undergraduate degree. Tuition costs for graduate programs are different for each degree. For example, tuition for the Master of Information Technology is $315 per credit hour, and students must complete 31 credit hours to graduate with a total cost of tuition reaching $9,765. Books and a technology fee are not included in the per-credit tuition rate. Financial aid for students at the University of the Cumberlands can come in the form of grants, scholarships, loans, and Work-Study awards. Traditional undergraduate students attending classes on campus may be eligible for scholarships from the university, and some students may also qualify for grants when they are of above-average scholastic achievement or can demonstrate financial need. Student loans are available through the federal student loan program, as well as through banks that offer private student loans. Students with a financial need may qualify for Federal Work-Study awards where the student will receive a job opportunity on campus to help pay for college costs. Students are encouraged to contact the Financial Aid Office at the University of the Cumberlands for information about financial assistance for paying for any of the Computer and Information Sciences programs.